The mood among OSV operators is grim. Further consolidation is inevitable according to top names in our 2018 offshore preview. Expect private equity to swoop into the OSV sector in 2018 and hoover up assets at rock bottom prices. That’s one of a raft of predictions made by four top names in offshore canvassed by Splash for a 2018 preview feature. Shesh Venkatraman, CEO of Miclyn Express Offshore and the latest addition to Splash’s roster of opinion writers, makes the private equity prediction in a generally downbeat forecast for offshore in the coming 12 months. Venkatraman expects oil prices to bounce a bit, but in a narrow range. There will be a gradual trend upwards, he expects with prices reaching the $ 70 mark by the end of the year. Venkatraman also anticipates shale oil production will plateau. Andre Wheeler, another Splash opinion writer, shares Venkatraman’s caution. Wheeler sees another year of decline coming up for the OSV sector. “This will place significant liquidity and cash issues in the market, and those companies that have managed to restructure debt to cover short term covenants will fall foul of this extended downturn resulting in drastic downsizing and / or consolidation,” Wheeler predicts. Wheeler thinks it is unlikely there will be much in the way of vessel scrapping, and with a current need of about 1,000 OSVs needing to exit the market , utilisation rates will decline to below 50% with the MENA region being the high of 55% and much of the other regions in the 45 – 50% level. The fact that there are still 400 OSVs to be delivered out of China in 2018 worries Wheeler too. “We need an oil price of $70 plus for there to be a recovery for deepwater activity,” Wheeler concludes. “Only time will heal the equilibrium between demand and supply; we are heading in the right direction but we still have some distance to go,” says Gautam Chellaram, CEO of Singapore-based OSV operator Chellsea. Chellaram has similarly cautious feelings about the market fundamentals as the others polled in this feature. His greatest concern however relates to safety amid the protracted downturn. “Rates have been so low that for some operators there is a fine line between safety and reliability,” Chellaram warns. As for the rig markets, David Carter Shinn, an analyst at Bassoe Offshore and regular Splash contributor, reckons 2018 could see the first ultra deepwater (UDW) drillship be scrapped. “UDW will continue to suffer,” Carter Shinn predicts. 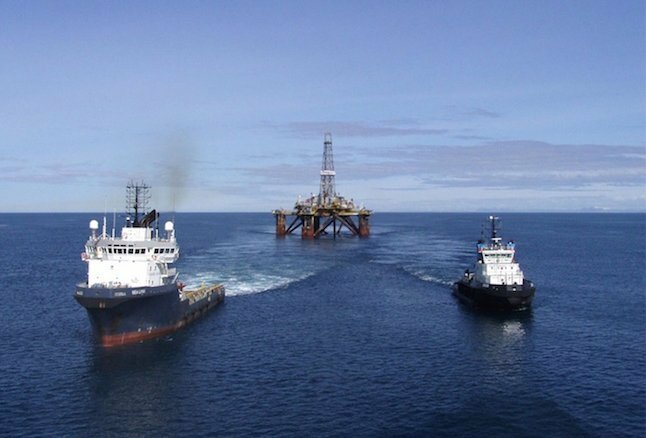 More stranded jackups will be taken over by new owners and start moving out into the market and more jackups will be scrapped, the Bassoe Offshore analyst predicts. Utilisation and dayrates for jackups and harsh environment semisubs will rise, but dayrates will lag into 2019. Finally, Carter Shinn anticipates more consolidation among rig owners to come. “Expect two or three major deals in 2018,” he says.